Beginning Blues Keyboard by Tricia Woods - A good, basic guide to playing the blues. Anyone with basic keyboard skills can dig in and begin learning blues right away. Learn what it takes to create the distinctive sound of the blues, including basic chords and scales, blues melodies, improvisation, turnarounds, and intros. Other topics include the 12-bar blues form, walking bass and playing in a band. 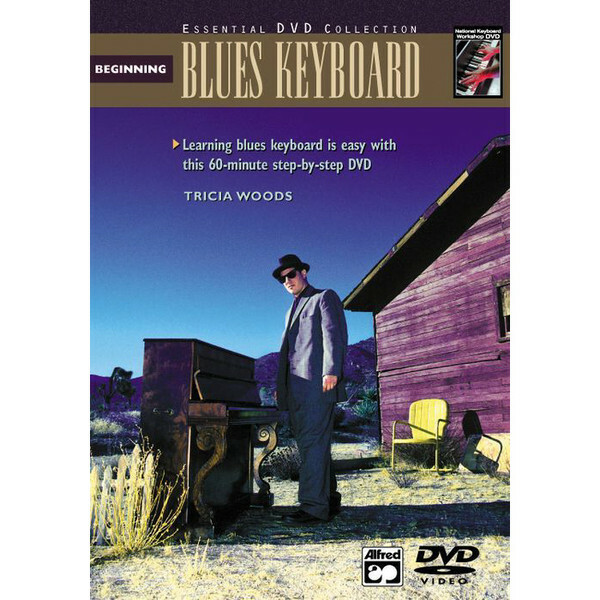 Full of fun tunes to play, Beginning Blues Keyboard provides a step-by-step enjoyable way to learn the blues. 96 pages.